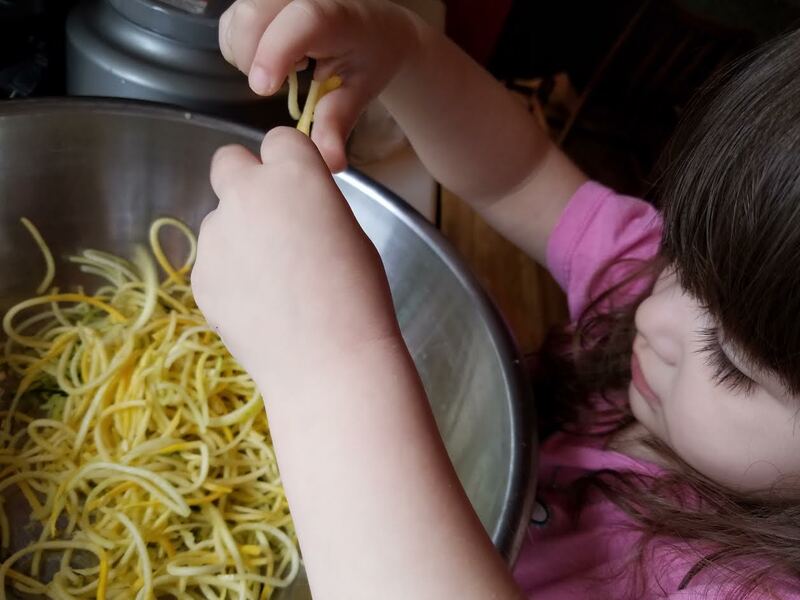 I love getting the little ones in the kitchen to help me. 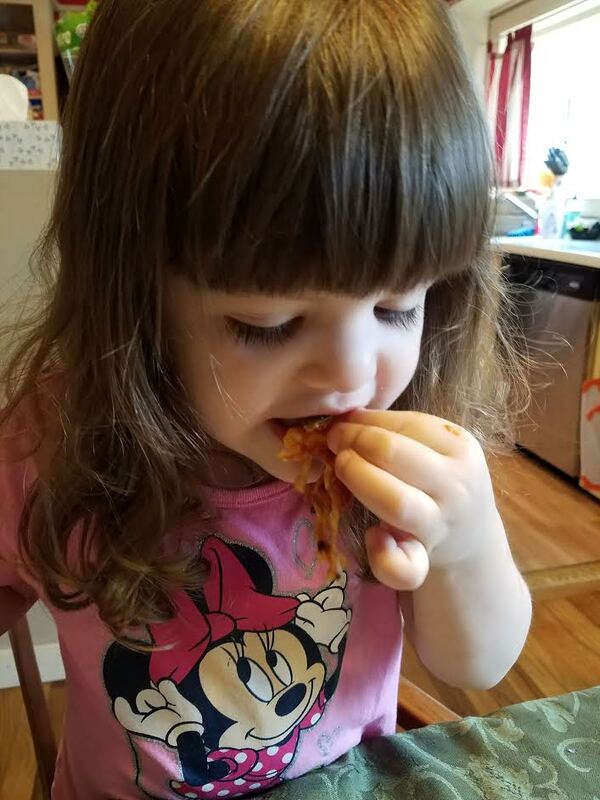 Not only is it fun for them but, it allows them to get excited about food they may never of tried before if they did not make it. 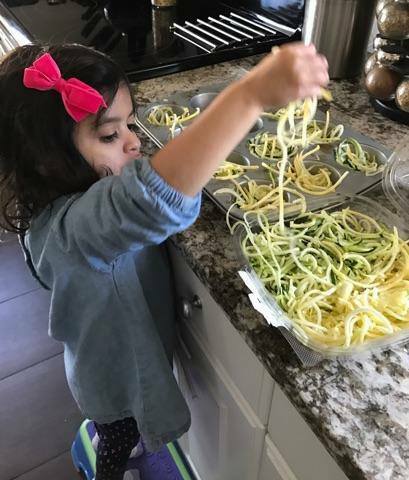 I got my two-year old to eat summer squash and zucchini with this fun and easy recipe. 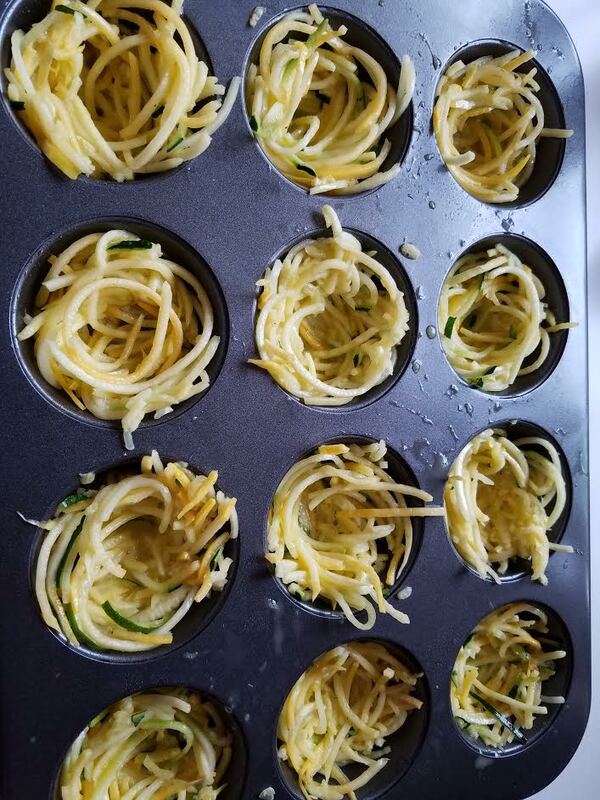 First, in a large mixing bowl put about 3 cups of zoodles. 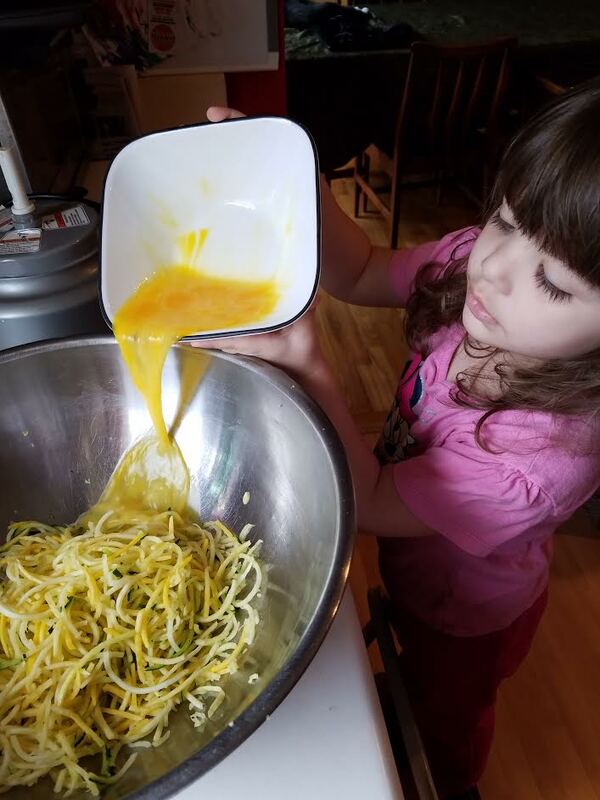 Break up the large zoodles by hand.Your kids will love getting their hands in the bowl of zoodles. 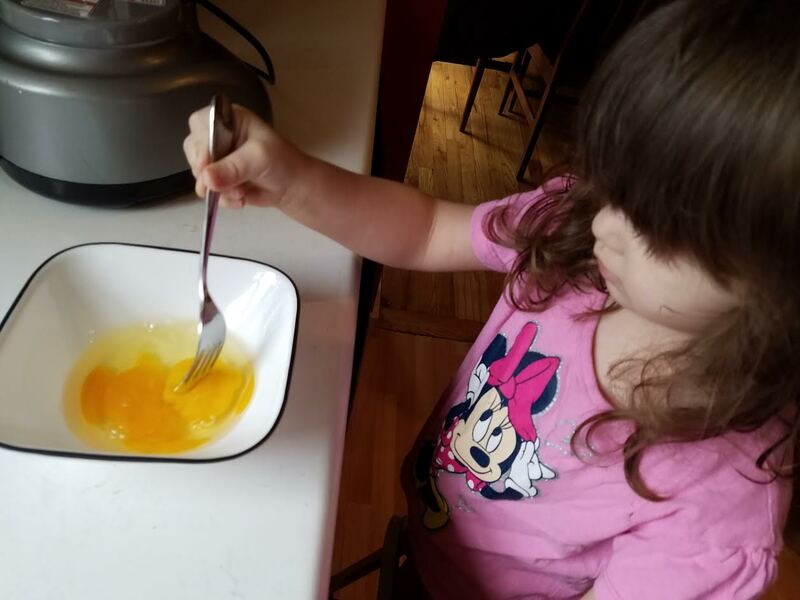 An adult should break the egg unless your child is old enough to break it without getting the egg shells into the dish, too. Then, beat 2 eggs and pour into the zoodle mixture and mix well. 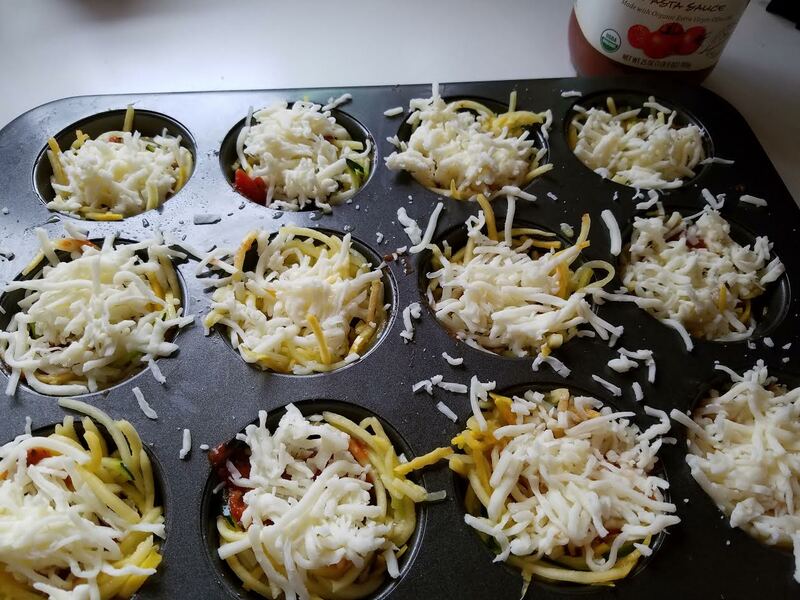 Spray your muffin tin well with canola spray. 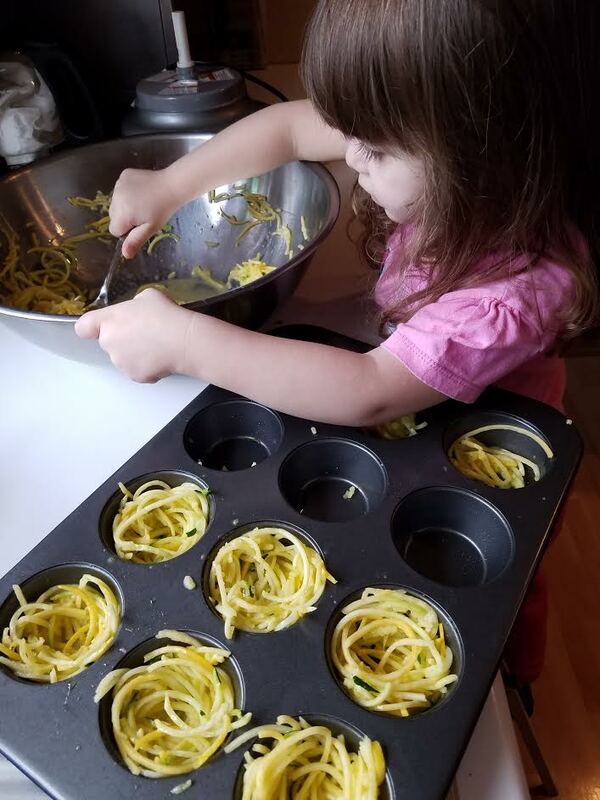 Then, place egg covered zoodles in each muffin space and make a nest shape by using a spoon to make a well in the center of each one. 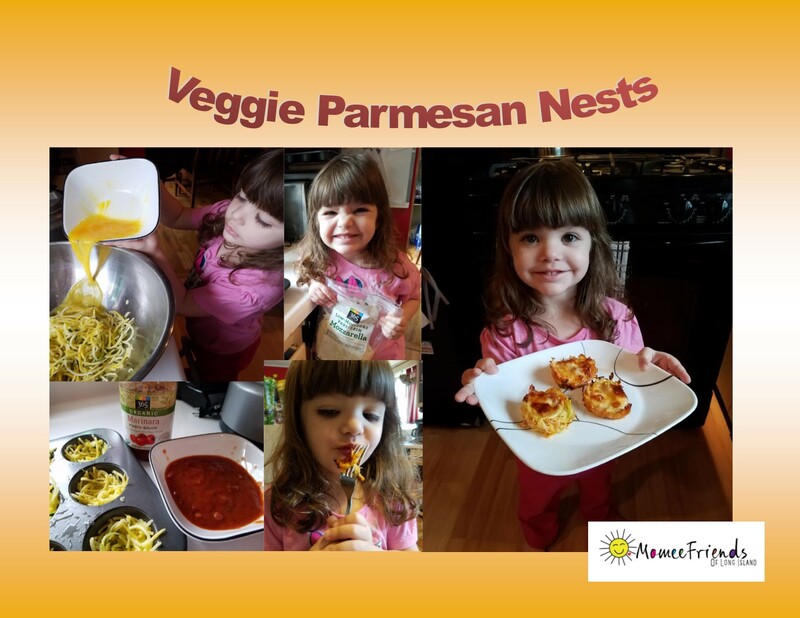 Have your child, scoop marinara sauce into the center well of each nest. Then, cover each one with the shredded mozzarella cheese. 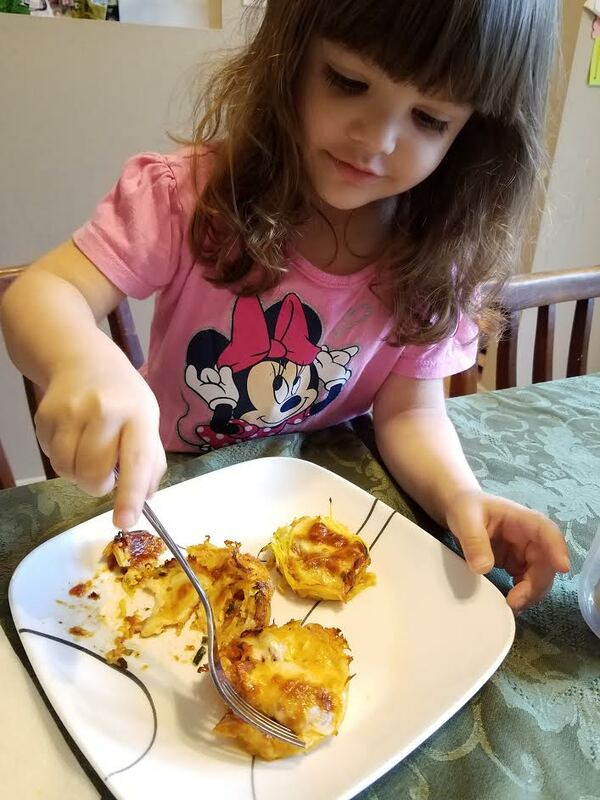 If your child is anything like mine she will put a little of cheese on the top of each nest then eat a fistful of cheese. 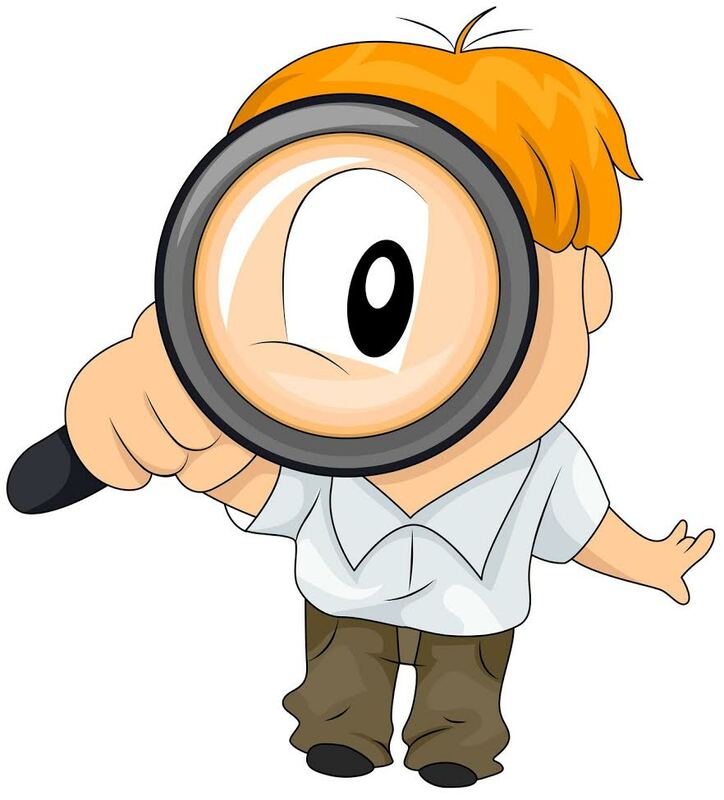 Have your child take a break until it is time to eat. Now, you (the adult) will place the muffin baking tin in the hot oven. Keep the little ones away from this step. 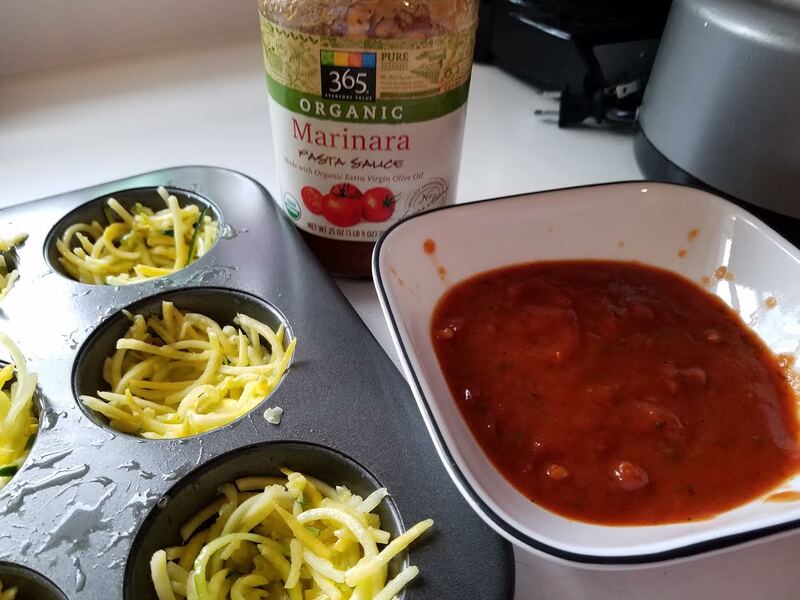 Let the Veggie Pamesean Bites bake for 25 minutes in the 400 degree F oven. They will be bubbly hot let them stand for about 5 minutes before taking them out and putting them on your serving dish. 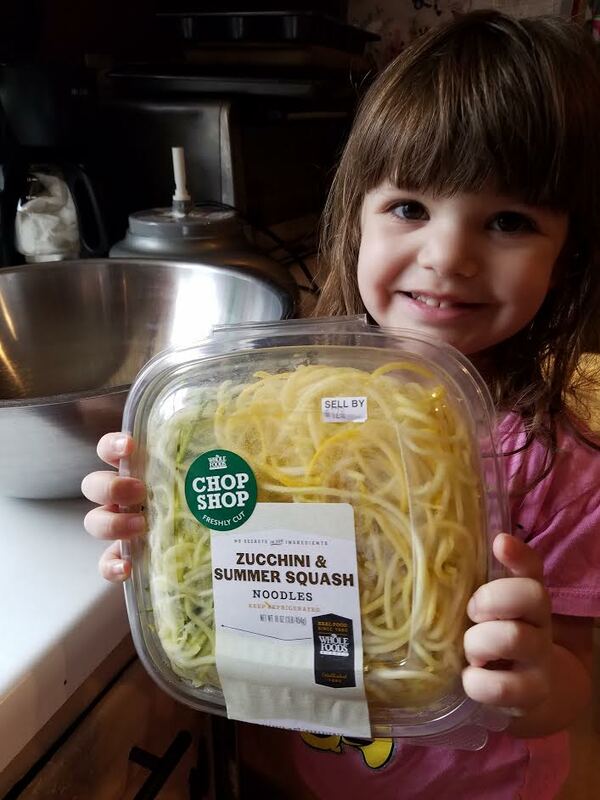 Your child will be so excited to try what they just made. But, let them eat it once it has cooled down. 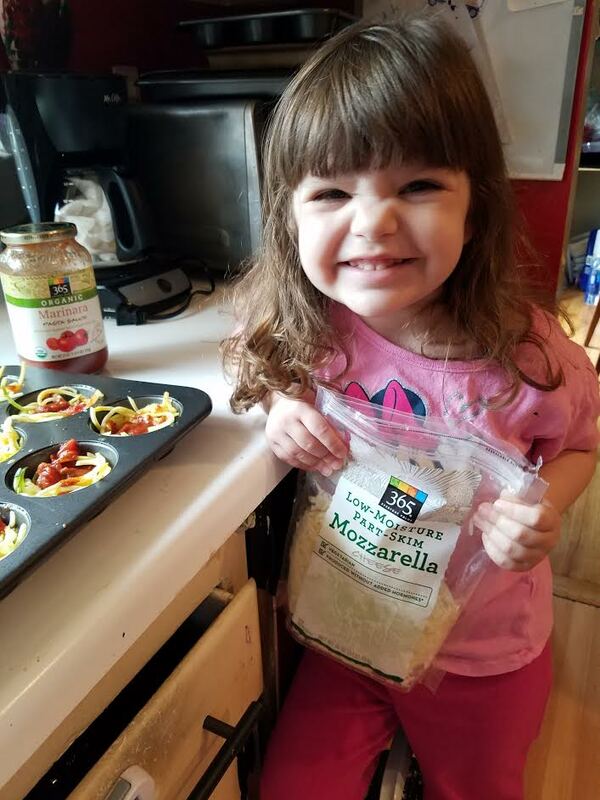 YOU AND YOUR CHILD JUST BAKED TOGETHER AND IT IS A SUCCESS! 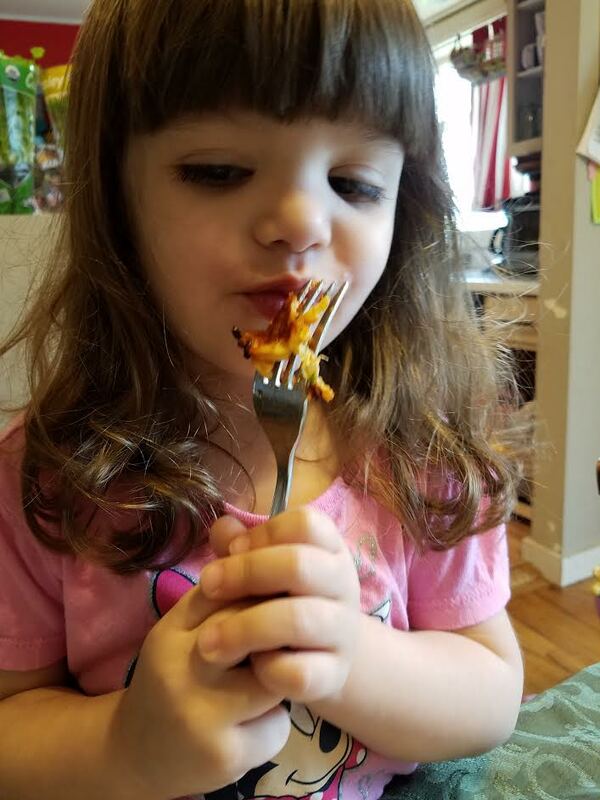 I am telling you not only did she love making it but, she loved eating it, too! 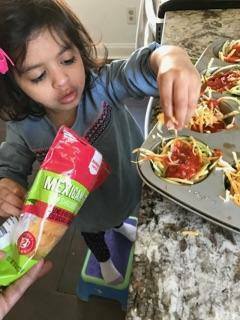 One of our Momee Friends Marisol, loved seeing my daughter in the kitchen she got her beautiful daughter in the kitchen the next day and she had a successful time making the same recipe as we did. 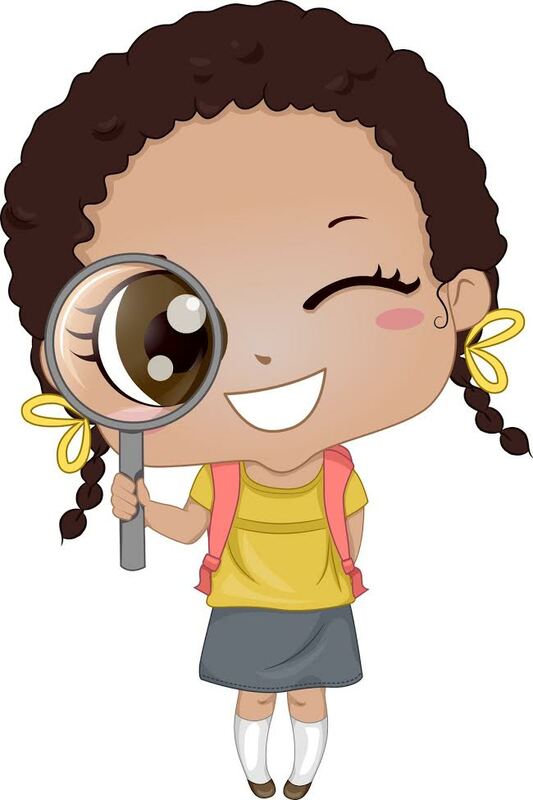 Please send us your photos we would love to see them of your children in the kitchen. HAPPY KIDEES IN THE KITCHEN! The Gateway’s 2017 Season is Amazing!